Kevin Gray is the Editor of Cocktail Enthusiast, a drinks-fueled collaboration maintained by a small group of journalists and bar industry professionals. Put Down that Screwdriver, Pick Up This Mandarin C... 18 Votes Up! Summer Holiday Cocktail Recipes 16 Votes Up! Five Spring Cocktails for Drinking Right Now 7 Votes Up! Three Margaritas for National Margarita Day 6 Votes Up! Tres Papalote Mezcal Review 1 Vote Up! The Foxtrot, An Easy Cognac and Calvados Cocktail 18 Votes Up! Never Love a Wild Thing 5 Votes Up! Ron Mulata 15 Year Old Rum Review 11 Votes Up! 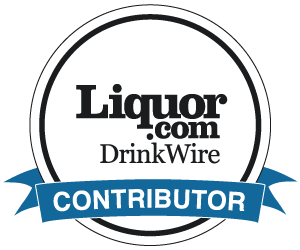 New Whisky: Hibiki Japanese Harmony 2 Votes Up! Goral Vodka Review 3 Votes Up! The London No 1 Gin Review 2 Votes Up! Usquaebach 15 Year Old Scotch Whisky Review 2 Votes Up! St. Augustine New World Gin Review 1 Vote Up! WhistlePig Old World Rye Whiskey Review 3 Votes Up! Old Forester 1897 Bottled in Bond Bourbon Review 1 Vote Up! Jefferson’s Reserve Groth Cask Finish Bourbon Revi... 2 Votes Up! Alberta Dark Batch Rye Whisky Review 1 Vote Up! La Caravedo Pisco Review 1 Vote Up! Parce 12 Year Old Rum Review 2 Votes Up! Orphan Barrel Forged Oak 15 Year Bourbon Review 1 Vote Up! Hennessy Celebrates 250th Anniversary with a Colle... 4 Votes Up! Amaro Lucano Review 0 Votes Up! Irish Whiskey Fans, Meet Your New Favorite Distill... 5 Votes Up! Making Drinks with the American Juice Company 4 Votes Up! Sherry: It’s Not Your Grandmother’s Drink 3 Votes Up! 3 Perfect Cocktails for Saint Patrick's Day 13 Votes Up! Hudson Valley Distillers Vodka Review 3 Votes Up! Yellow Spot Irish Whiskey Review 2 Votes Up! Woodford Reserve Rye Whiskey Review 7 Votes Up! SIA Scotch Whisky Review 0 Votes Up!